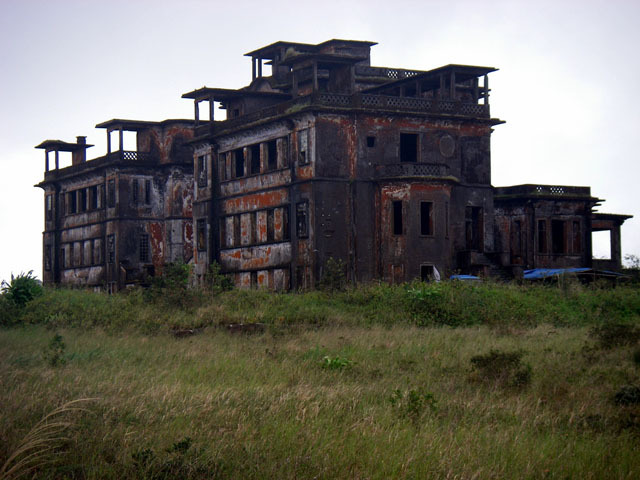 Bokor Hill Station is an abandoned French town built in 1922 on Bokor Mountain, just outside the town of Kampot, southern Cambodia. mark M. who visited the area was kind enough to send us some pictures. 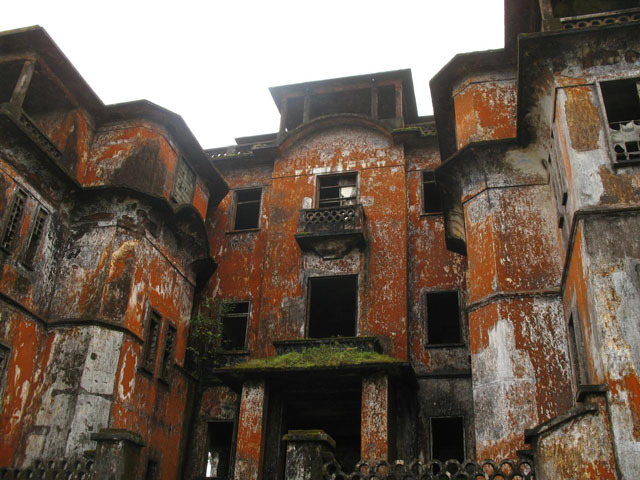 the buildings look absolutely eerie and beautiful. 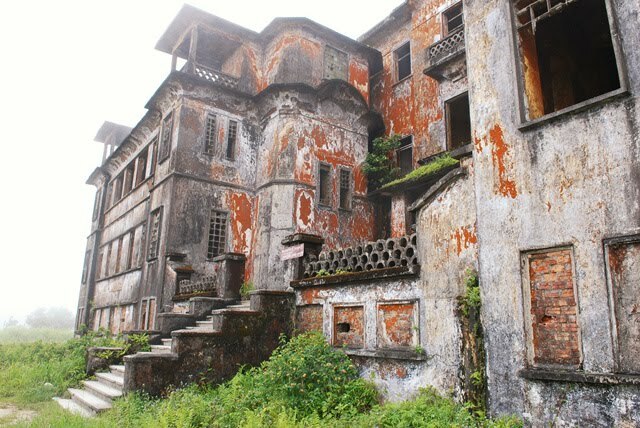 It seems that the area that has been abandoned for so many years has some new development on the way and is becoming touristy. 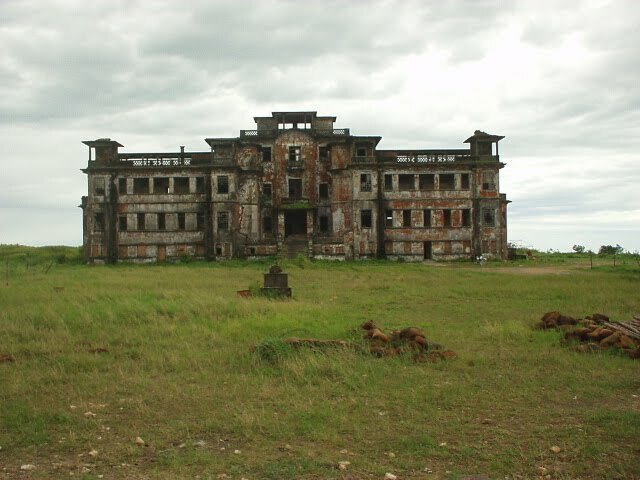 The following description is from Mark M. :" I went to Cambodia and one of the highlights of my trip was a night's stay on Bokor Mountain to see the abandoned resort up there. 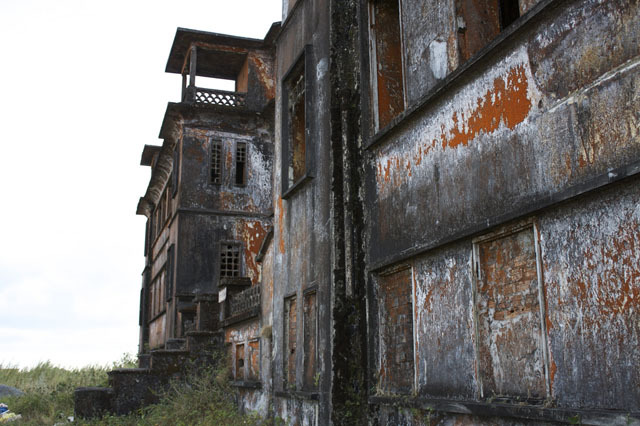 It was built by the French in the 20's and then expanded much later (evidenced by some sleek and modern architecture), but was abandoned due to the war in the 70's and was used as a hold out for the Khmer Rouge for a while. An important battle happened there, I believe. 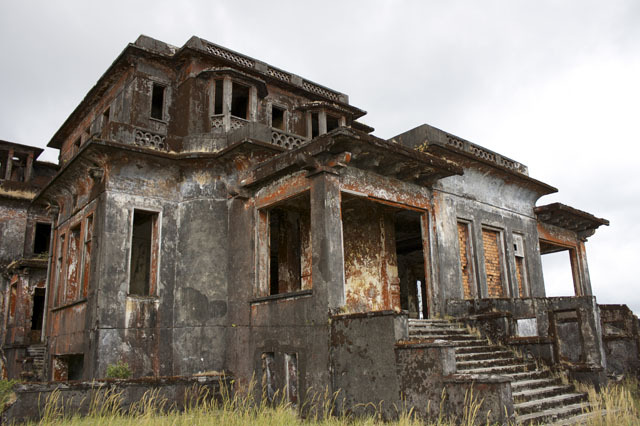 The main building is intact, overlooking a dramatic cliff toward the distant ocean. There are several other buildings including a catholic church, a casino, some homes." 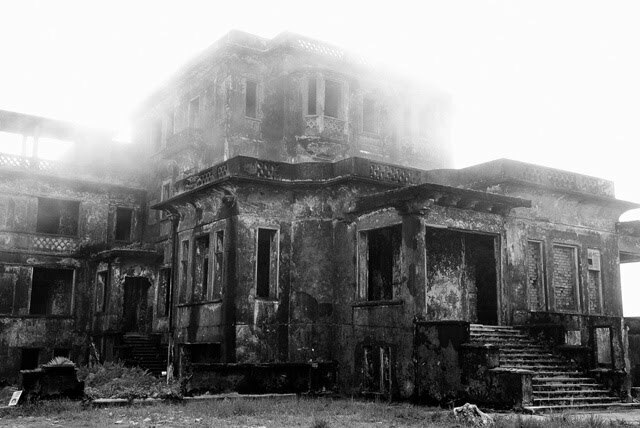 The following description comes straight out of wikipedia:" The town was built as a resort by the colonial French settlers to offer an escape from the humidity and general insanity of Phnom Penh. 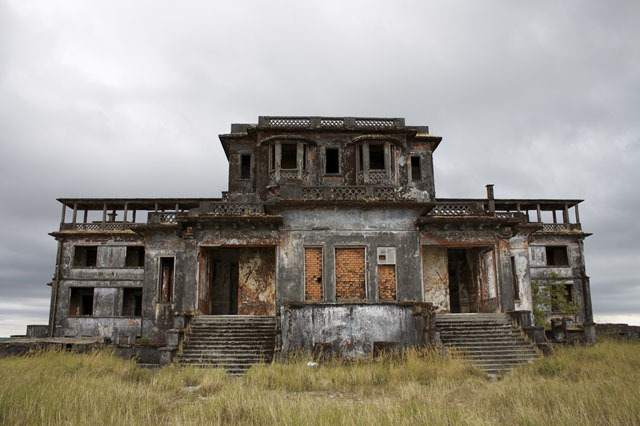 The centrepiece of the resort was the grand Bokor Palace Hotel & Casino, complemented by shops, a post office, a church and the Royal Apartments. 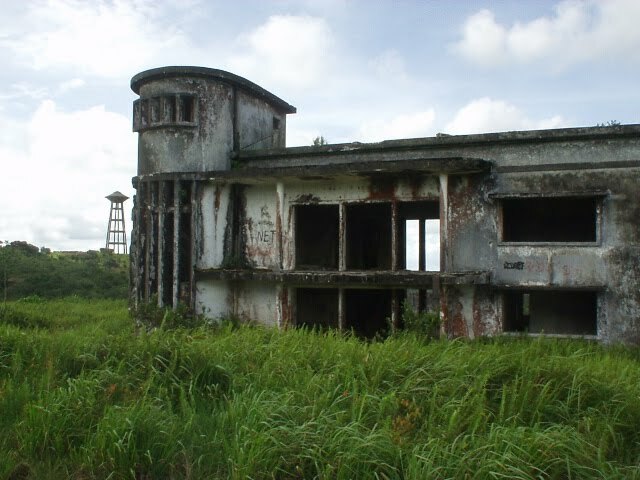 It is also an important cultural site, showing how the colonial settlers spent their free time. 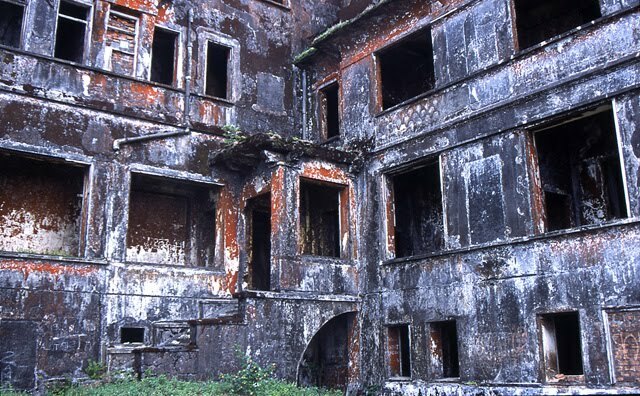 Now abandoned, most of the buildings are still standing. The strategic importance of the location is underlined by the fact that the Cambodian authorities maintain a Ranger Station on the site." pictures sources : 1 2 3 4 5 6 7 8 9 10 11 12 13 & Mark M.
text source : 1 & Mark M.
This is pretty much amazing. I can only imagine what it what it was like back in the twenties. @ iphy, I was going to say, has anyone seen the film R-point, I thought that was the building. 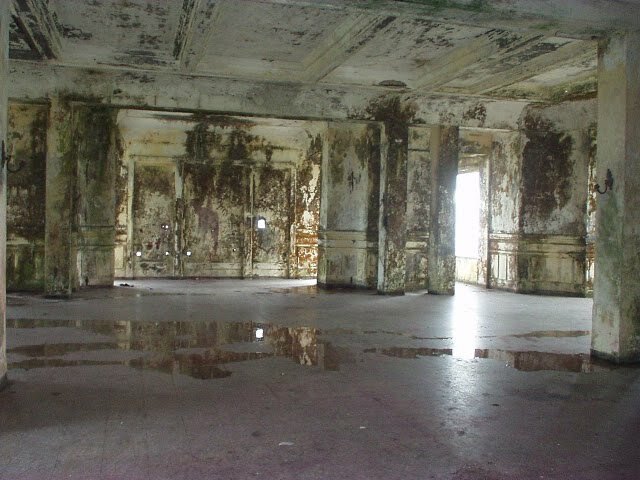 It was also used in the movie "City Of Ghosts" with Matt Dillon and James Caan.